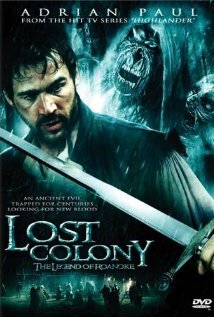 Buy or Rent Wraiths of Roanoke aka Lost Colony: The Legend of Roanoke (2007) Movie DVD & BluRay Online! Movie Plot: English colonists arriving on Roanoke Island in 1587 find the fort built years before deserted. Soon after members of the colony begin to die in horrible ways. Leader Before returning to England for provisions, John White puts his son-in-law Ananais Dare in charge, and Dare realizes the island is haunted by Norse spirits. Enlisting the aid of a friendly Native American, Dare attempts to free the spirits from their earthly captivity before the entire colony is lost.